blog readers! i thought i’d put this up on december first, but i’ll be at a craft fair so you get it a day early. ben and i really liked how this hat turned out looking like flippy hair, so i thought i’d share the pattern with you as a gift of the season. 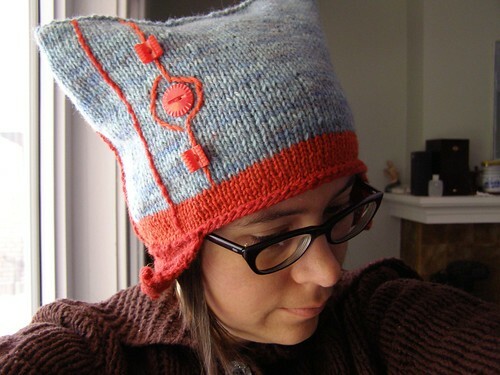 if you don’t want the earflaps to flip up, at the very end work a crochet edging around the brim and earflaps. they also may benefit from some blocking. note that my earflaps make for a helmet hat and so are not necessarily earflaps in the normal sense. if you would like more normal earflaps, shift them no more than an inch towards the back of the head to center them over the ears. gauge: ever so slightly under 5 stitches/in. for each flap, you will be picking up 22 (24) stitches along the edge of the hat. find the corner of the top of the hat and follow the stitches down. then count 11 (12) stitches in each direction and put a marker. see note in the intro if you’d like them to be more over the ears. with the hat right side up and the place you want to pick up stitches facing you, flip the hat upside down and pick up the stitches between your markers from right to left. 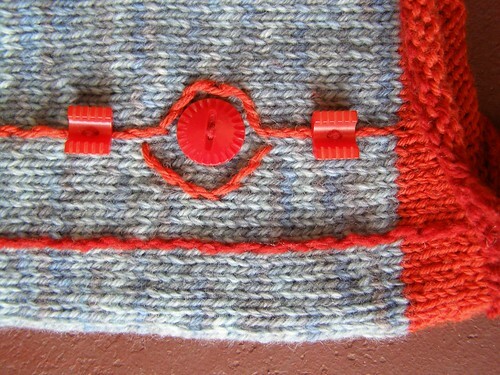 sew in your ends, add some geometric embroidery and buttons, and enjoy! 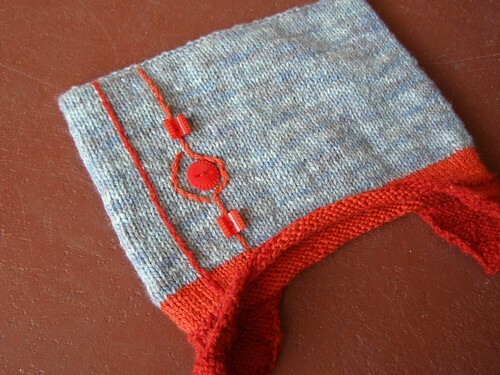 This entry was posted in cosyknitsliterally, free, hats, patterns by cosymakes. Bookmark the permalink. LOVE that hat. Thanks for the pattern. Thanks for The great pattern, Cosy! 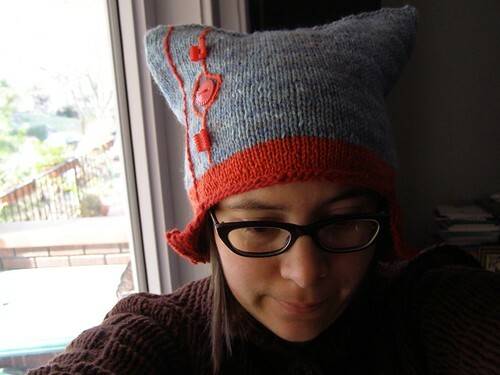 I love your knitting and have just cast on for this helmet hat. You’re an inspiration! Yay! It’s gorgeous (and that last photo cracks me up). Have a wonderful fair day. Love the helmet hat for the same reason I love the Meathead hat–wearing it might create quite a stir! Thanks for the inspiration. I made one in varigated purple,green,pink and yellow for my 4yr old. I made smaller earflaps with attatched Icord and made tassels for the points at the top. It turned out pretty good(For a first try at a hat) I learned alot! So So cute. Thanks for the pattern. 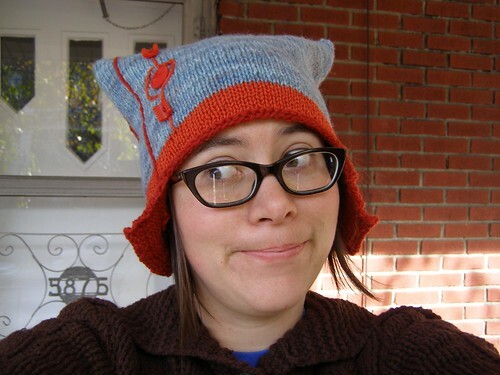 Been looking around for an adorable pattern to use for my first hat. I love this. And I love all your hats now that I have seen them all on flickr. And I want to buy one @ etsy. look at the beautiful colour variations in that blue/gray wool.